Believe it or not that is rare with insurance requests for Residential warranty work. (there is usually a lot of back and forth in regards to the Completed Operations endorsement)" ~ Duane J. "Thank you for being so sweet and personable and working with us, it is really tough starting a new construction company...We appreciate the time you take every month to assist us with the process of our billing for all our insurance needs." ~Shannon M.
"I was so stressing about all that paperwork and all the details. Everything you did today will help me sleep better tonight. You and Cindy are always so helpful and make doing OUR jobs easier. You are THE BOMB!! We will never leave your Office/Agency!" ~ Rose M.
It has been a pleasure working with you. Easily the best customer service I’ve ever received. ~ Ernie P.
“It’s simple, if you want friendly service with great rates from a reputable company… then call Brandee at Simons Agency!”~ Pat C.
“I truly enjoy doing business with Brandee Simons! She is very personable, efficient and saved me money on both my car and home insurance. It is nice to do business with someone you can trust! 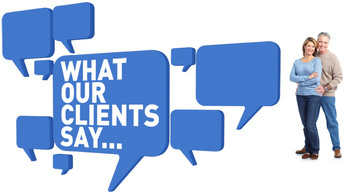 !” ~Dee W.
“I am extremely satisfied with my agent at Simons Agency, she is helpful in all ways and it is a pleasure dealing with her.” ~ Lonnie W.
“I had questions about my Allstate insurance policy that my agent either would not or could not answer. Every time I would press him for answers, he would pull the old “I have another call coming in that I have to take” strategy to get rid of me. Brandee took all of the time necessary to deal with me and to address all of my questions/concerns (and I did ask a lot of questions). The auto policy Brandee sold me not only saved me $45.00 per month; but, it has the exact same coverage with the exception it has higher limits in two categories. I recommended Brandee to friend of mine and he said she saved him about $1,400.00 per year on his insurance policies. Plus the added benefit that the policies we both bought were for one year instead of six months. My experience is that Brandee is about more than just selling you an insurance policy; she takes the time to address all of your questions/concerns and to make sure that she gets the right insurance company(s) and the best policy(s) for you.” ~Shirley H.
“The service I received from Simons Agency was excellent. The policy was explained to me thoroughly by Brandee. She took her time to make sure I had full understanding of the fees and coverage provided. I would not hesitate to recommend Simons Agency.” ~Donna G.
“Brandee has been great to work with. I have moved all of my personal insurance needs to her and have recommended her to my family, friends, and co-workers. She returns calls immediately and has followed through on every need. I couldn’t be happier with Simons Agency as my Insurance Agency.” ~ Michael F.
“I was so glad to be on a personal level with Simons Agency. I had problems with the previous agency that Farmers selected for me. I never even met the owner. Now I feel safe knowing that Brandee is handling my insurance policies. I was happy to add renters insurance to my policy. I had gone without it a year because somehow they said it lapsed. They were not very personal or professional. Brandee at Simons Agency LLC has provided all that and more. I’m totally content and covered.” ~ Martha W.